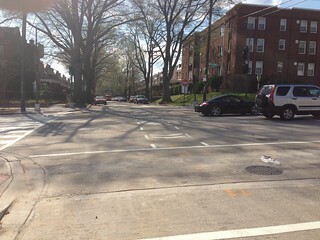 Below are images of the installation of a new traffic signal near the 5200 block of North Capitol Street as it crosses Hamilton Street. 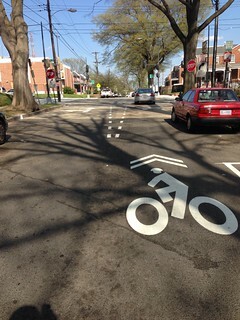 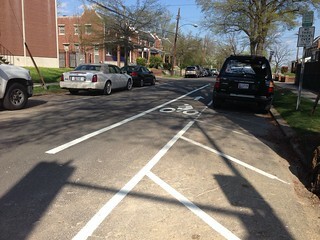 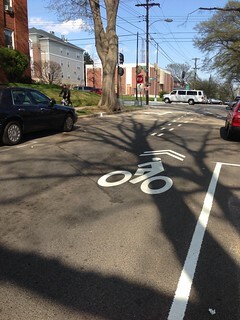 The signal will allow bicyclists to use Hamilton Street eastbound and Gallatin Street westbound instead of using Gallatin as a bi-directional bicycle sharrow on a one-way vehicular street. 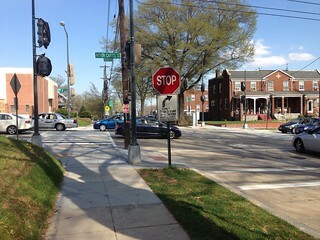 The installation of the traffic signal will also allow pedestrians, bicyclists and cars to cross North Capitol street, which can be difficult due to heavy traffic in the blocks between Missouri Avenue and Gallatin Street and the relatively high rate of vehicle speed during off-peek travel hours.